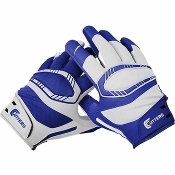 Cutters football gloves are regarded by elite level athletes to be the best football gloves available. 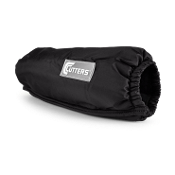 Used by athletes of all ages from youth, high school, NCCA College and NFL Football players, Cutters football gloves are made with C-Tack technology that maintain elite level grip no matter the weather conditions. 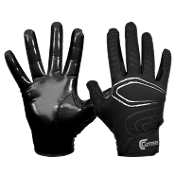 Countless numbers of NFL football players wear Cutters Gloves and continually state that they are the best gloves available. 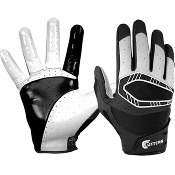 The top of the line grip provided by Cutters gloves is un matched by the competitor. Even as many athletes demand gloves made by other brands, the elite level athletes that demand the best always come back to wear Cutters football gloves. 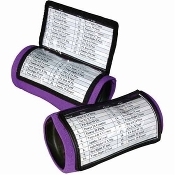 The statistics are there and Cutters Gloves perform better than the competition year in and year out. 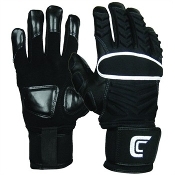 The C-Tack grip featured in Cutters Football Gloves is actually part of the material. 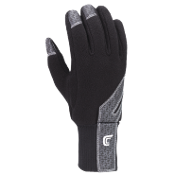 The top of the line grip is combined with it's self-restoring performance to provide elite grip in all weather conditions. 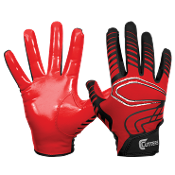 At Endzone Sports we are committed to providing the best football equipment available to our athletes, which is why we provide a huge stock of cutters gloves and hand warmers and wrist coaches. 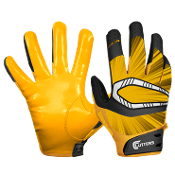 We want you to perform at your best, gain your competitive advantage with Cutters Football Gloves for the best prices at the Endzone!